"Can't resolve dependencies" The .deb file didn't work either. Well, this is a no for sayonara, so sayonara to this idea lol. Keep on using Clementine which works just fine. Thanks everyone and sorry if caused you any trouble and/or inconvenience with this "ppa" thing thread. 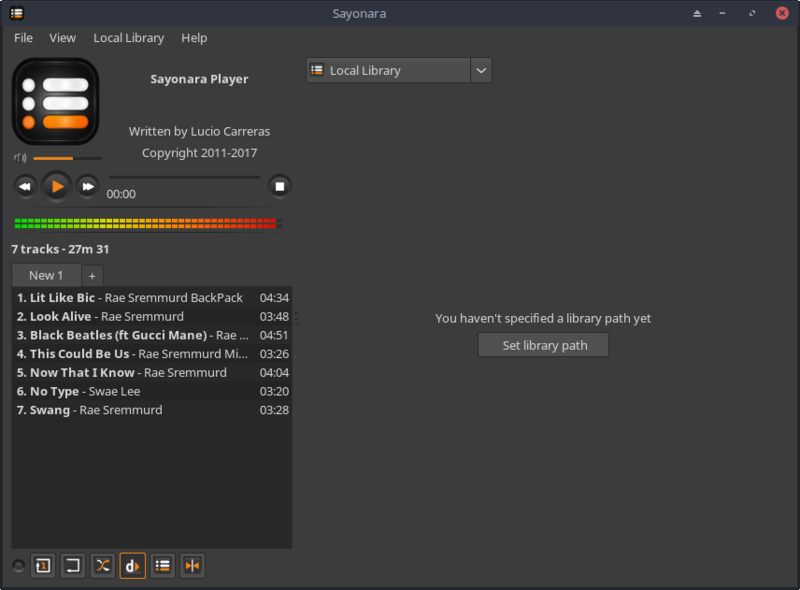 sayonara is in our test repo. Is it? Didn't occur to me to look in there. Thanks! Gonna check that right now! 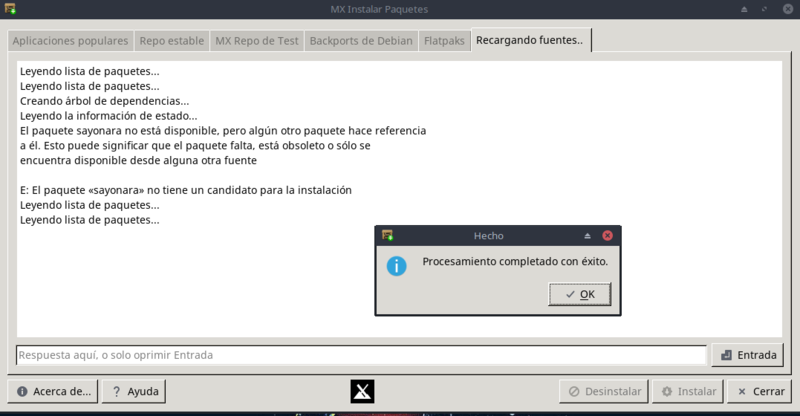 @dolphin_oracle "Package «sayonara» has no candidate for install" I got that from MXPI. So it didn't work. "Package «sayonara» has no candidate for install" I got that from MXPI. It installed just fine here from test repo. Not sure but could it be a mirror issue? the way MXPI test repo tab works, if its shows up in the list, its should be present in the repo. again, unless some kind of sync issue. I would make sure the attempted PPA addition has been removed maybe. Sorry that it is in Spanish. Hopefully, the error is self-explanatory. Does your used test-repo mirror has an issue? You might consider to change the used mx repo mirror.